The last thing I want for dinner in the summertime is a heavy dinner. If you've broken up with pasta for good and want to keep things low carb and keto approved then pick up some prepared zoodles – which is spiralized zucchini. Or just invest in a spiralizer and spiralize your own zucchini. 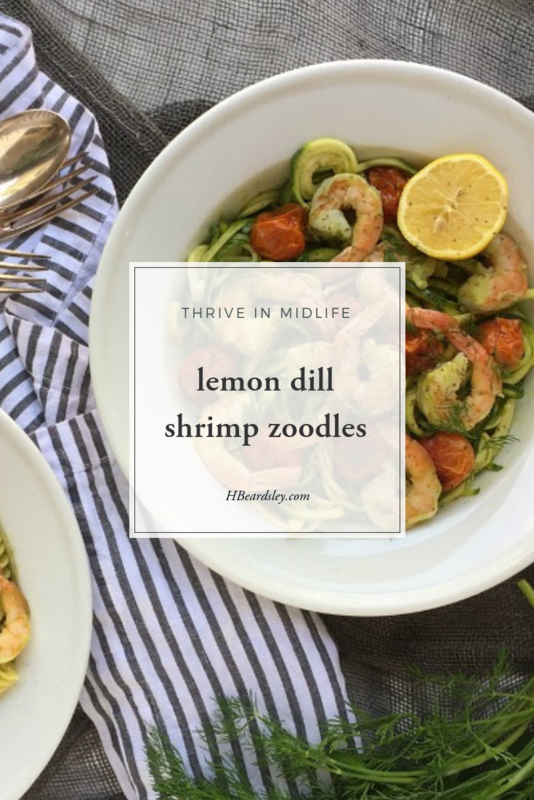 If you're not into it, Whole Foods sells prepared zoodles, and if you don't want to peel and cook shrimp, then just buy them cooked and frozen. This recipe accommodates my lazy summer dinner ways. I think you are going to love the way this lemon dill dressing makes your ‘pasta' sing with the taste of summer. This recipe is an adaptation of lemon-dill pasta salad with shrimp & grapes from At Home with Carolyne Roehm. 1 lbs. large tail-on shrimp cooked and peeled. If preparing your own zoodles, spiralize your zucchini then transfer them to a large microwave-safe serving bowl. Microwave for 1-2 minutes, or until just tender, like cooked pasta. Prepare the dressing: in a blender, add olive oil garlic, lemon juice, 1/2 C dill, and salt and pepper. Blend until it forms an emulsion. Adjust seasoning to your taste. 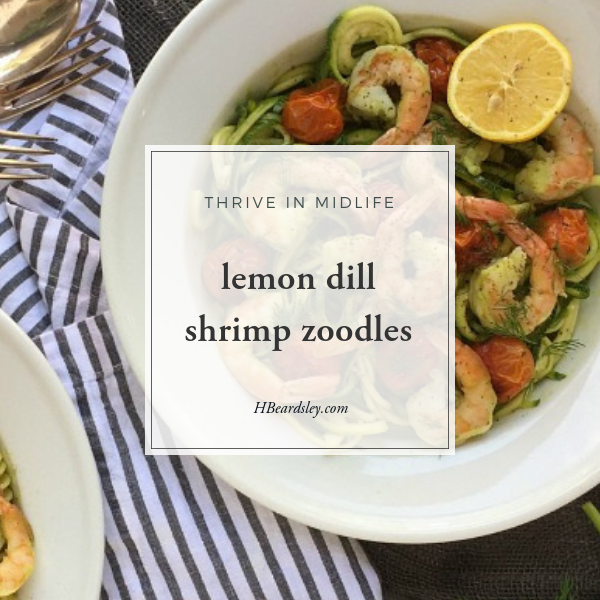 Add the shrimp & tomatoes to the zoodles & pour the dill dressing over and mix with clean hands to combine. Divide the shrimp zoodles between two serving bowls. Chop remaining 1 tbs of dill and sprinkle over as a garnish.